Our book for this week's project was Pete's A Pizza by William Steig! What a silly book this is! We sure had fun with this project. We made Pete's A Pizza Pita Pizzas! We used small sandwich pitas. They were just the right size! You can choose any toppings you like. We used mushrooms, pepperoni, black olives, cheese, and sauce. The girls loved making their own pizza creations! This one was mine (I had fun too)! If you have a book inspired project that you would like to share, sign Mr. Linky below! That looks like so much fun!! Maybe my daughter would eat some veggies if she made her own pizza with veggies on it. Hi, I have an award for you over at my blog! I didn't know you did a Friday book challenge and I read your blog several times a week! I just can't keep up. TOF and I loved this book! It was great silly fun. Cute! I'm about to post a book project. Great idea! We'll definitely do this weekly. (Would love to try the pizza...just have to figure out weighs to get around a wheat allergy/picky eater first). This is a cute and yummy project. Very easy. Next Friday the Bubbas and I will do a Valentine theme. 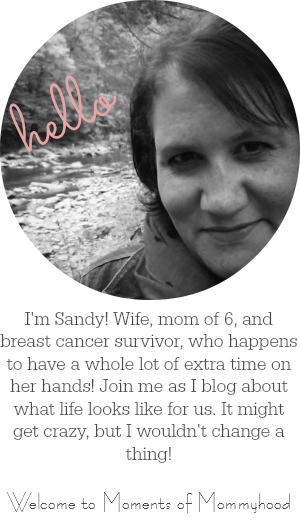 I wanted to let you know I mentioned your blog in my Around the Blogosphere with KOTC post. My kids would love this. It would be a great preschool project too. Great idea. Wow! What a great Idea! I can't wait to try this out when my neices come over to visit! Thank you!